www.foxschoolofwine.com . The cost is $40 per person, and all who attend must be 21 and over. The Park City Film Series and the Kimball Art Center will present Antonio Ferrera's and Albert Maysles' documentary "The Gates," not rated, at the Prospector, 2175 Sidewinder Dr., on Thursday, Nov. 20, at 7 p.m. In February 2005, artists Christo and Jeanne-Claude installed 7,500 arches (gates) with orange cloth curtains that waved and billowed along miles of walkways in Central Park. Dr. Angelika Pagel, who received her Ph.D. in Art History from the University of California, Berkeley, and currently teaches Art History at Weber State University, will introduce the film and lead a Q&A after the screening. Tickets are $6 for general admission in advance and $8 at the door. Proceeds will benefit the Kimball Art Center. For more information, visit www.parkcityfilmseries.org . The Kamas Valley Writers Group will met at the Summit County Library Kamas Branch, 110 N. Main, on Thursday, Nov. 20, from 6 p.m. until 8 p.m. The group is open to all levels of writers of all genres. For more information, contact the library at 435-615-3080. Boy Scout troop 72 in Park City is selling large poinsettias for its annual fundraiser. The public may purchase red or white plants for $10 each. All purchases are tax deductible. To order, call Hong McDonald at 435-901-0533. The Utah Chapter of the Sierra Club, Wasatch Back Network, will host speaker Frances ReMillard of Friends of Kamas Valley who will speak about the potential effects of the proposed Uinta Express oil pipeline on surrounding communities. The meeting will be held Wednesday, Nov. 19, in the Marsac Building’s City Council chambers, 445 Marsac Ave., from 6 p.m. until 7:30 p.m, The event is free and open to the public. The Fox School of Wine, Nosh and The Cheese Shop will host a Table for 12 Food and Wine session at The Market at Park City, 1500 Snow Creek Plaza, on Thursday, Nov. 20, at 6:30 p.m. The topic will be Holiday Elegance and participants will learn how to prepare elegant cheese platters and pair them with fine wines for an affordable price. Participants will also enjoy learning and tasting specialty cheeses, artisan meats, complimented with unique wines. Reservations can be made online at http://www.foxschoolofwine.com . The cost is $40 per person, and all who attend must be 21 and over. The Park City Film Series and the Kimball Art Center will present Antonio Ferrera’s and Albert Maysles’ documentary "The Gates," not rated, at the Prospector, 2175 Sidewinder Dr., on Thursday, Nov. 20, at 7 p.m. In February 2005, artists Christo and Jeanne-Claude installed 7,500 arches (gates) with orange cloth curtains that waved and billowed along miles of walkways in Central Park. 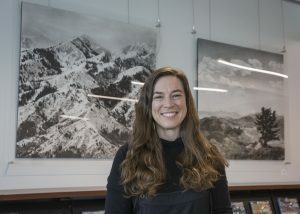 Dr. Angelika Pagel, who received her Ph.D. in Art History from the University of California, Berkeley, and currently teaches Art History at Weber State University, will introduce the film and lead a Q&A after the screening. Tickets are $6 for general admission in advance and $8 at the door. 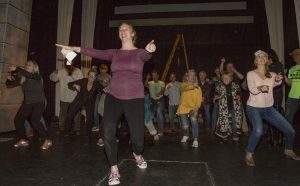 Proceeds will benefit the Kimball Art Center. 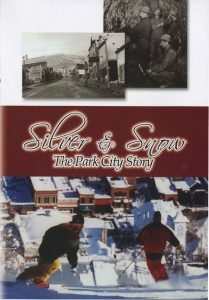 For more information, visit http://www.parkcityfilmseries.org .